Sell stuff online and be your own boss. Technically both dropshipping and affiliate stores are the examples of ecommerce, i.e. online trade. But here we will talk about creating your own full-fledged online store - with inventory, warehouse, delivery, customer support, etc. You can buy the products at the wholesaler and resell them with your profit margin. Resale of goods is a more common way, although the competition here is higher – similar goods can be sold at other stores, including offline stores. You have to find your own niche and sell products that are not widespread, in order to get a decent income. Your potential profit is unlimited. You put the price for your products yourself focusing only on the demand and the uniqueness of your offer. You can develop your own brand.In future you can expand your business through creating a big online platform or through opening an offline store or a retail chain. You are really a business owner and your own boss – you don’t depend on any affiliate program or sellers. The need for a warehouse – the more goods you will sell, the more critical the need for storage will become. You will have to clutter up your own apartment with different goods or to rent a warehouse which means additional costs. Delivery management - it will also fall on your shoulders taking up the time you could spend on developing your brand and attracting new buyers. Customer service - working with clients and dealing with their multiple issues will be your main activity. Choose a niche. Don’t open a store that sells everything and anything – you won’t be able to meet the competition with Amazon. Start a small store for people with hobbies. It will be perfect, if it matches your hobby or your secret passion. Find the products to sell. You can order goods in bulk on famous online platforms such as eBay, Amazon, AliExpress or find one or more suppliers. You can also become an ambassador for a brand that is not yet present in your country or in your city. Come up with a name for your store, choose a domain name and a web hosting provider. Register your business under the laws of your country. As soon as all organizational issues are resolved, the goods are purchased and the website is launched, it is high time to find your first buyers. Product categories - write titles, small descriptions and metatags. Products descriptions - titles with keywords, high quality descriptions, feedbacks, additional goods, photos, metatags. Create social media pages (Facebook, Instagram, Twitter) and fill them with high quality content (not only with photos of your products). You can promote your business through personal social profiles and groups with a great amount of your potential clients. You need to set aside a budget for advertising. Take advantage of all available tools - Google Ads, Facebook Ads, advertising on Instagram and on Bing. 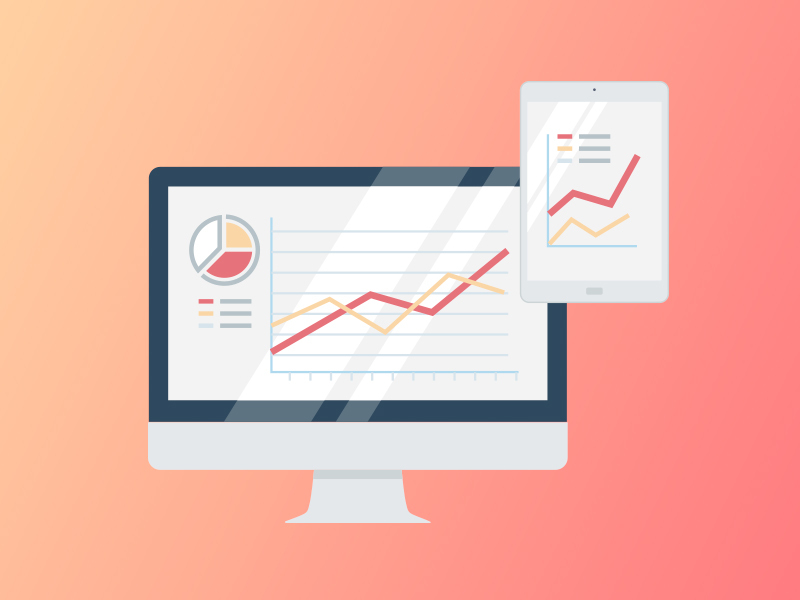 Check the costs of conversions and choose the most efficient one. This is one of the best fee-based tools for ecommerce. The ads are shown to people who have already searched for what you sell. That is the so called hot audience that is easy to attract with a favorable price offer, high quality descriptions and a well designed website. Give people what they are looking for. At the first glance, this type of business seems to be easier than affiliate business. Your task is to create an informational website in a popular, but not a competitive niche. Build up your website, increase your average number of visitors to at least 1000 a day and start making money from your website traffic. Topical blog − it can be your personal web blog about a topic in which you see yourself as an expert. It can be devoted to travelling, investments, child rearing or British cats – what’s more important is to choose a theme that is popular and to be able to create quality content on your own or with the help of a copywriter. Reviews − You can write product reviews, compilations, and tips within one particular niche. You can write about trendy and inexpensive clothes from AliExpress, fishing hooks, smartphones or vacuum cleaners. The only thing that matters is to find audience interested in it. Informational website − In contrast to a blog, it won’t be tied to your identity. Here you can write articles, answer the questions of your website visitors and create useful services as well, but not on your own behalf, but rather as a depersonalized expert. You find it interesting and are ready to work with it 24+1 hours a day. After a brain storm you can come up with more than 100+ ideas for your content plan for the coming months. You can easily find long tail keywords (3-4 words that include such words as “how, why, best, top, which, vs, for” and have the keyword difficulty (KD) level less than 60 according to SEMrush). Your competitors in this niche are not well known – with DA less than 25 and with the lifetime less than one year. Brainstorm - write down all ideas that cross your mind. Analyze the market - Go through all ideas in detail, including the craziest ones. Pick out those ideas that are in demand and that do not have strong competitors. Continue to fill your website with content – the more content you have the faster your website will bring you profit. Start using social media to promote your website. Buy links (the number depends on your budget and the competitiveness of the chosen niche). You can go without buying links, but in this case it’ll take longer to develop the project. If you have money – start PPC advertising campaign in search engines and in social media. Develop your site and grow your income. Scale up your business. SEO You should have at least the minimal knowledge of SEO in order to understand how webpages get into the top results of search engines. You should be able to do the correct keyword research, write articles relevant to these keywords, seamlessly put them into texts and insert meta tags. In addition you should develop your own external marketing strategy, i.e. getting links from other websites (for free or for payment). Content marketing You should learn to write fascinating articles and catchy titles (or find a copywriter that can do it well). 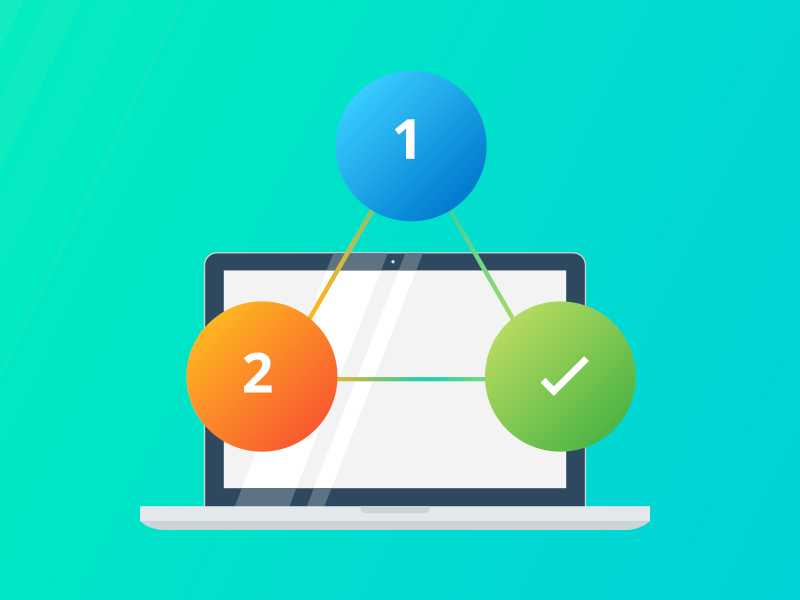 You have to choose topics very carefully with due regard to your target audience in order to get both organic traffic and links from mailing. PPC Contextual advertising is the easiest though not the cheapest way to drive more traffic to your website. Ideally your website must be monetized by the time you start marketing campaigns so that the advertising could start paying off. One of the first and the easiest ecommerce business models is creating an affiliate website. You join the affiliate program by Amazon or AliExpress. You create the website which only imitates the fully functional online store but does not really sell anything. You promote your store and products using all available methods – in social networks, in search engines, with the help of paid ads (PPC). A user visits your site, chooses a product and presses a Buy button. He is redirected to the site of the real seller (for example, AliExpress) where he finishes the purchase. This model of Internet business is undoubtedly very convenient: you can manage your business from home with minimal costs and hassles. It’s easy to start: you create and launch an online store or even a one page website for a particular product and drive traffic to it. No inventory, no warehouse, no employees, and no large investments needed. It gives you stable passive income: when you learn how to drive enough traffic to your site, you’ll start to get small but steady PASSIVE income. No mess with logistics: customers do not buy products on your website – they do it on the site of the real merchant; it means that delivery is totally their concern. Minimum customer support: you surely should mind your reputation, otherwise you will fall into disrepute. But all refund issues and dissatisfied clients can be directed to the site of the merchant as technically all the orders are placed there. You are just a promoter of their products. − Affiliate commission is very low and fixed, so there is no way to increase your income from one sale. − The merchant can change the rules of the affiliate program at any time. You cannot affect the situation as for such retail giants like AliExpress and Amazon you are just a pawn in their game. − There are some non-affiliated products, commission fee is not paid for them at all. Your imported products can surprisingly be included in this non-affiliated list. − It takes some time to get and withdraw your payments; the process often takes 30-60 days after the sale. − If you don’t use automation, you have to monitor and update the prices and product availability manually. Using AliPartnership: they offer a special plugin (AliPlugin Pro) to create WordPress based online stores for AliExpress affiliate program. Using Shopify: it is the most popular service to create websites for Amazon affiliate program. By your means: you can create an online store yourself and insert affiliate links manually. It can cost you less, but it takes more time and is not so convenient as it can be with plugins. Using social media: you can run an affiliate business without a special website. Promote your accounts in social networks, give affiliate links to the products that can be interesting for your audience and get your commission fee from sales. Choose a narrow niche Your store should match some definite audience and meet their needs. You will make money using someone’s love to football, cats or arabic ornaments. It’s crucial to choose a niche with good potential as you should add a large amount of products and easily reach your target audience in social networks, search engines and wherever you are going to promote your store. Choose products that are hard to be purchased offline A person will not look for a stepler in Internet - he will go to the nearest brick-and-mortar shop and buy it there. But if he needs a T-shirt with his favourite football player, he will spend enough time to search and choose the most interesting option. Make your own product reviews It may be difficult for a person to make purchase decision after reading a standard product description in the vast variety of Amazon goods. But if you order a product, make a high quality video or photo review on it, then there will be more people willing to buy this item. 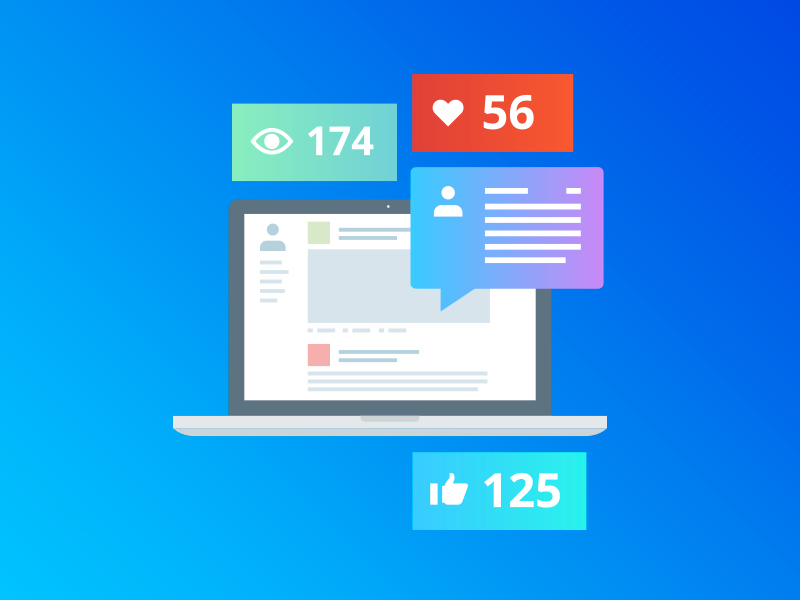 Promote your social media accounts, grow loyal audience In your social networks, only a small part of all the posts should be devoted to the products you offer. The rest part of the content should satisfy the interests of your potential customers in the subject of their passion: show them funny thematic pictures, tell the news, ask questions. Dropshipping is an easy and realistic way to make money online. With every passing day, this ecommerce business model wins more and more fans across the globe and makes more and more people happier and richer. The popularity of dropshipping probably stems from the fact that this type of ecommerce business is easy to start and manage and it brings good money. In this article you will find why dropshipping is the future of ecommerce, how it actually works and what advantages dropshipping has over other ecommerce business models. Dropshipping is a good alternative to the traditional ecommerce business ideas. Its key feature is that dropshipping allows online store owners to sell products without worrying about inventory. Dropshippers don’t need to buy products in advance and fear that not all of them will be sold in time and will gather dust in a warehouse. That’s why this model is perfect for new entrepreneurs. It requires minimum costs. You just need a computer, your personal website or an account on one of the most popular ecommerce platforms and good internet connection. Nothing more. In addition, you don’t need to have any special business knowledge or skills to do dropshipping business. Just be creative and patient and one day you will hit the jackpot. Imagine, you are a dropshipper and you have a website with different products. The goods you sell are stored by your suppliers and you use only the photos of their products. A potential customer goes to your website, finds something interesting, places an order and pays you. After that, you place the same order with your supplier and he or she sends the item directly to your customer. You make money on the difference between the supplier’s price and the price on your own website. For example, a supplier sells you an item for $1 and you offer the same item to your customers, say, for $3. Your net profit is $2. In addition, you don’t need to bear the cost of shipping, because it is the responsibility of your supplier. Where to find dropshipping suppliers? The easiest way to find suppliers for dropshipping is to direct your attention to the most popular online shopping platforms such as AliExpress or eBay, because they do not hinder the use of this business model. The goods on AliExpress are usually cheap, which means dropshippers can make very good money on the price difference. Dropshippers can easily find reliable suppliers thanks to the customers’ feedbacks and freely available AliExpress seller ratings. You can fully customize your store and therefore build your own brand. Chinese suppliers like the dropshipping business model, because they get one more distribution channel with you and as a result make more money. People say that despite all benefits, AliExpress dropshipping has one big pitfall that kills everything - delivery time. Some years ago, that was right, but nowadays most suppliers offer free ePacket shipping that makes it possible to deliver all packages quickly and in time. Amazon is another popular online shopping platform where people often look for suppliers. However, using Amazon for dropshipping is probably not a good idea. And this is why. First, the platform is not dropshipping friendly. According to its shipping policy, you can’t buy products from other online retailers and ask them to ship products directly to your customers. It means it will not be able to use the classical dropshipping model that was mentioned above. Of course, you can try, but there is a great chance to get banned and lose everything. Secondly, you have to know that most suppliers on Amazon use the Fulfillment service, which means they do not take part in packaging processes. As a result, it will be impossible for you to put your own promo material into the package and promote your store. In addition, Amazon sellers may write only their own names on the packages, so it will be impossible to build your own brand as well. eBay is the most famous auction site for buying goods online and it is also popular with dropshippers. According to statistics, there are about 25 million sellers on eBay, so you have about 25 million potential suppliers to choose from. Each supplier offers thousands of products that you can dropship. In addition, when using eBay you can reach a wide audience and earn good money. However, in spite of the variety of sellers and products, it’s very difficult to find high quality goods with low prices. So you will constantly face the problem of low profit. In order to automate your business routine and make your life easier, you can use different dropshipping software. Here is a short list of the best ones. AliDropship plugin runs on WordPress and allows you to import thousands of products from AliExpress directly to your website. It has many features such as automated ordering of products, built-in themes, importing customers’ reviews, ePacket shipping filter, etc. The plugin is not free, but you can search for special coupon codes on the Internet and get it with a X% discount. This popular app is developed for the ecommerce platform Shopify and works only on it. Like the previous one, it allows you to import products to your dropshipping store, customize them and filter with ePacket. Oberlo is a paid program and has many pricing plans that determine what features are available. ShopMaster is perfect for dropshippers who want to import products from different websites, such as AliExpress, Amazon, eBay, etc. It also allows you to import products, monitor prices and get sales statistics. Like Oberlo, ShopMaster offers many pricing plans. The set of available options depends on them. As you can see, all apps for dropshipping are very similar. The difference is mostly in the platforms they work on. 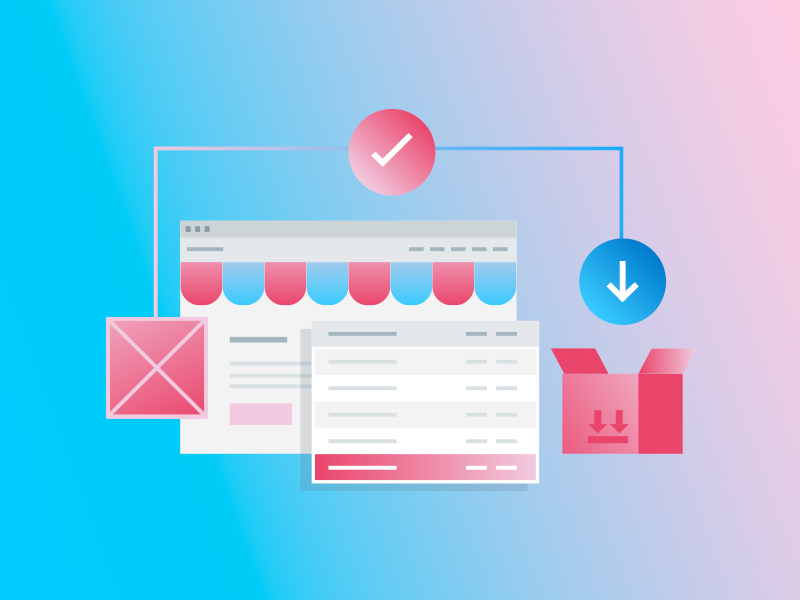 To choose the right dropshipping software, think carefully what website you will use to dropship from and how much money you are ready to spend on your business development. You can dropship any products you want, however, it’s better to sell something that you are interested in or know inside out. If nothing comes to your mind , visit different online stores and sort items by popularity, categories, prices, etc. Make an account on each website and subscribe to their news. Every day you will get information about products and something will inspire you. These products usually cause problems both for sellers and buyers. So if you don’t want to get bad feedbacks, stay away from the product categories mentioned above. Your location is irrelevant. You can run dropshipping business anywhere in the world. Low starting costs. You can start dropshipping business without having a lot of money. You do not spend your own money to make purchases. You pay for all products with the customers’ money. You don’t need to rent a warehouse and keep products there. Dropshipping doesn’t require much time. You can easily combine dropshipping with a full time job. You are not responsible for delivery. All goods are stocked and shipped by suppliers. Wider product selection. It is easy to add new products to your store or to delete those that are out of stock. Intense competition. You may find yourself in a highly competitive dropshipping niche. Supplier errors. You can’t be sure that each product will be packaged properly and delivered in time. Low margin in the early stages. To earn really good money, you need to put much efforts (and probably money) into your store and constantly promote it. So is dropshipping worth it? Certainly, yes! As you can see, dropshipping is a very attractive business model with a great amount of advantages. It is easy to start and it brings more benefits than other popular ways to make money online.